Well, this is officially the most amazing thing that’s ever happened. 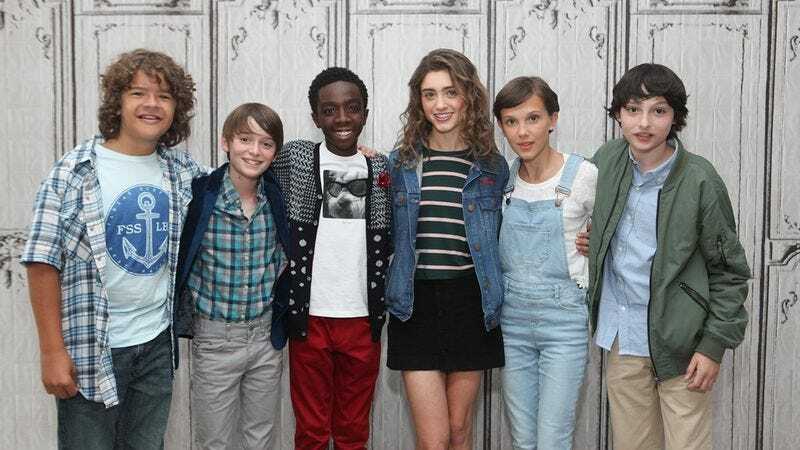 The young cast of the hit Netflix show Stranger Things has been winning people’s hearts all over the world, and now it looks like the actors might have just won themselves the ultimate fan: President Barack Obama. POTUS loved the show so much and was so impressed with its talented young cast that he has invited them to join the United States Army! Just when you thought President Obama couldn’t get any cooler, he goes and does something awesome like this! In addition to his amazing invitation, the president has also promised that the young actors can be deployed in the same unit based in Afghanistan’s Nangarhar Province so that the cast, who are total BFFs in real life, too, will be there for each other while raiding tribal villages to flush out ISIS operatives. Wow. We’re lucky that we have a president who isn’t just cool enough to watch Stranger Things, but who goes the extra mile and invites its incredible young cast to join the military. It’ll be a sad day when he finally leaves office!